Returning home after a two-week holiday in Montenegro (more of which in due course), it seems like quite a lot has been happening within Tyneside’s retail scene while I’ve been away. As well as Asda’s plans for the old Byker Woolies getting the green light, and Northumberland Street seeing “exploratory digging” ahead of gaining 100 security bollards, there’s a slew of five new store openings taking place in Newcastle, Gateshead and MetroCentre yesterday, today and tomorrow – some of them known for a while, but others a little more unexpected. However, though varying in scale and relative importance, all these new arrivals are interesting in their own way, and represent positive news for their respective locations. Yesterday (Thursday) saw the long-awaited opening of the combined TK Maxx and HomeSense at MetroCentre – previously blogged about here – which occupies a 45,000 sq ft unit on the site of the old Odeon cinema. I’m yet to pay a visit, but an investment of this scale should provide a shot in the arm for what has previously been a very tired-looking Blue Mall, despite all the pedestrian traffic that passes through on its way from the nearby Transport Interchange. Also yesterday, Gateshead town centre had the unusual attraction of a store opening of its own, with Poundland setting up shop in the former Woolworths. Though there were some rumours about Poundland’s imminent arrival in the last month or two, the speed with the new High Street store has been opened is pretty impressive, with no sign of anything happening on site in the week or two preceding my holiday. Again, it’s a great boost for a site that had previously seemed destined for long-term vacancy, and can only have been helped by the start of demolition work on the nearby Get Carter car park – a tangible sign, at last, that Gateshead town centre is moving forward. 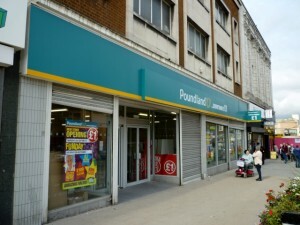 Poundland’s decision to get in now seems like a canny move, as the location is bound to benefit massively, in the longer term, from the Trinity Square redevelopment. Prior to that, the store is also, as I noted before, opposite the planned temporary Tesco that will trade once the existing supermarket is demolished. Today, Newcastle’s Eldon Square has also had a couple of notable openings, including the new combined Clinton Cards and Pure Party in Douglas Way’s old River Island unit – mentioned previously here – and yet another new Starbucks, this time in St Andrew’s Way. 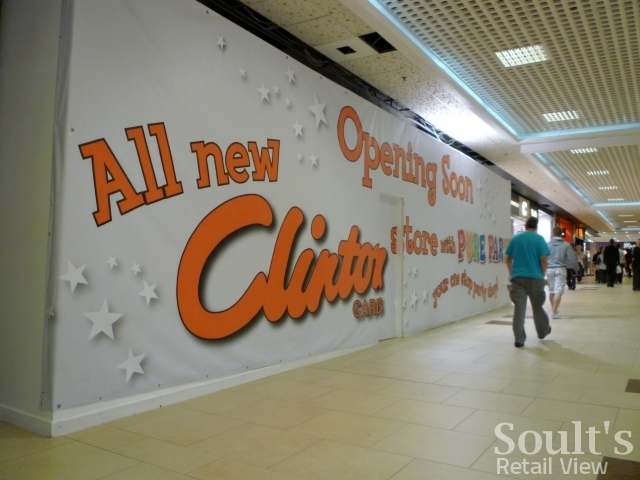 Visiting Eldon Square a few days ago, I noticed that the existing Clintons has indeed closed, leaving a decent-sized vacant unit in Blackettbridge. Meanwhile, the new Starbucks sits next to Debenhams, occupying the previously empty large space between the department store and the lifts. 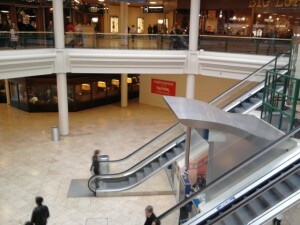 All of a sudden, the layout of that part of the mall begins to make a lot more sense. 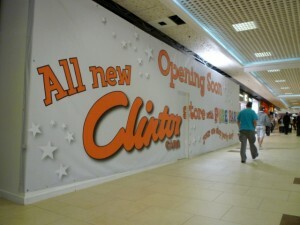 Given Eldon Square’s current form, the old Clinton’s is unlikely to be empty for very long. 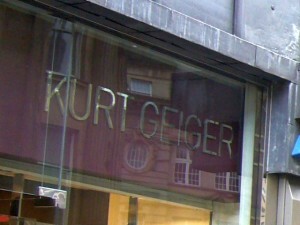 One store it won’t be housing, however, is Kurt Geiger, with work already underway on creating a flagship store for the shoe retailer within the recently closed Barratts unit in Hotspur Way. 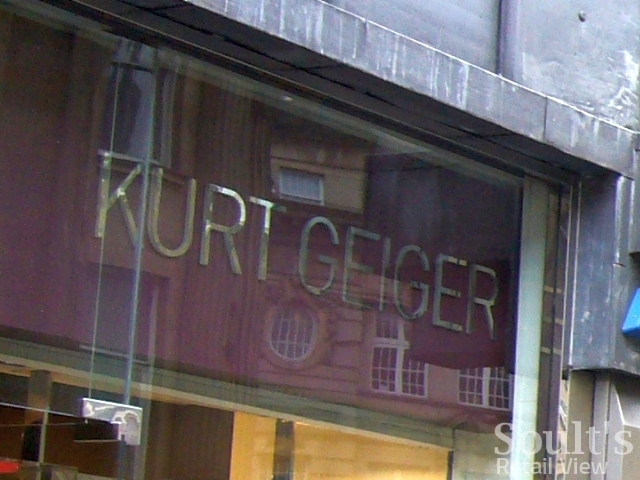 Assuming that Kurt Geiger moves from its existing location in Grainger Street, this will begin the process of freeing up the ground floor space needed for the reported three-storey Urban Outfitters store within the current Green Market building. 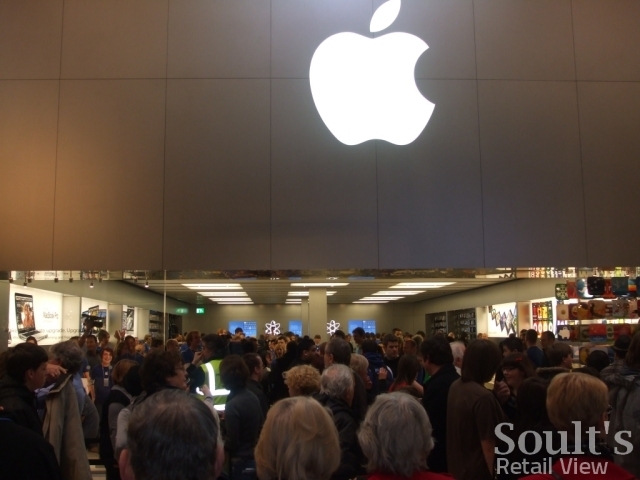 Of all this weekend’s openings though, the most notable has to be that of the new Apple Store at MetroCentre. Though the store’s impending arrival is no surprise, having been known since May, its opening date has been kept something of a surprise. Indeed, the Chronicle only revealed the news three days ago, ahead of the store’s opening at 10am tomorrow (Saturday). Unsurprisingly, the store is located in the Debenham’s-anchored Red Mall – the most modern and attractive part of MetroCentre – occupying the unit that housed USC prior to that retailer’s recent relocation. 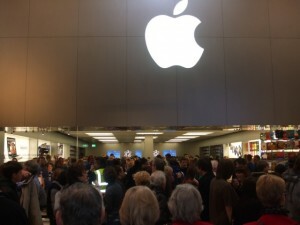 As the Chronicle rightly observes, it’s a real coup for MetroCentre – and for Capital Shopping Centres – to have signed up Apple for a second Tyneside shop when there are still fewer than 30 Apple Stores in the UK, including some notable locations, such as Edinburgh and Leeds, where the retailer is not yet represented at all. Other than here, only Bristol, Manchester and London feature Apple Stores simultaneously in both city centre and out-of-town locations – a sign, one must imagine, that the Eldon Square shop is already surpassing Apple’s expectations, and a great signal to other retailers that Tyneside retail is in pretty fine fettle right now. Previous story Boyes takes over Bishop Auckland’s old Woolies – could more follow?